If you’re in the greater Auckland area, then you’ll have noticed in the mornings a steady layer of mist rolling in and covering us all. The colder the morning the longer it stays around to add to the humidity in the air and create more moisture both inside and outside your car. In fact humidity will fog your windows even faster in the winter. And on colder winter days here in Auckland, that moisture can even freeze. While it may seem a little odd, having the air conditioning on will remove moisture from the air inside your car so making it more comfortable. And the heating will still work just fine. Just beware of any odour that comes out of it when you turn it on. 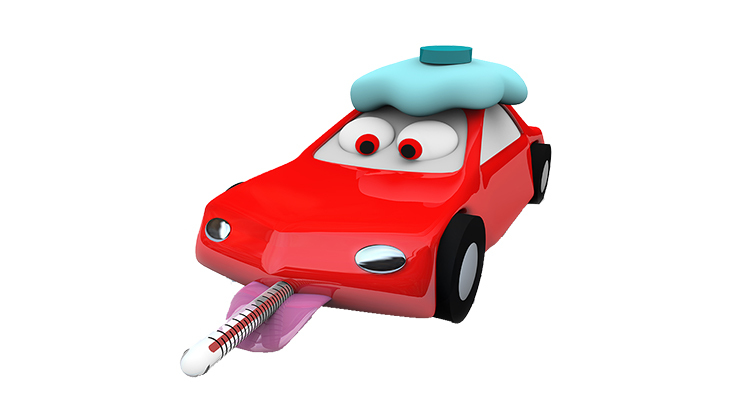 A car's air conditioning system can be a breeding ground for harmful bacteria, microorganisms, mould and fungi. This generally not only results in an unpleasant smell, but can be a serious health concern, especially for young children and sufferers of asthma and allergies. It’s so common that it’s been given a name: sick car syndrome. While filters in a modern car’s air conditioning system are proven to reduce pollutants entering your car, if the heating and cooling system is not properly maintained it acts as an ideal breeding ground for mould and micro-organisms that we’d rather not see on the scene. The condensation that gathers on the evaporator coil design in most systems is partly to blame. It has been suggested that running your defroster for a few minutes after you’ve used it will dry out the evaporator. Once the bacteria have grown, the air passes over the evaporator picking up particles of this waste before entering the inside of the car through the air conditioning vents. You’ll smell it before you see it. The smell is generally strongest after a period of resting the system and can seem to lessen after a few minutes of use. You should be aware this is generally due to the occupants getting used to the smell, not that the smell is subsiding. The bacteria would still very much be in the air. But don’t worry, there are ways to prevent bacteria and mould from building up in your air conditioning system. By using your air conditioning weekly (for at least 10 minutes), running the defrost setting after long periods of use and most importantly, having the system serviced regularly. If you have a strange smell coming from your air conditioner, or if you think it could do with a service, John Andrew Ford, Auckland can help. Call us on 0800 523 673 or request a service today.